Obviously the most important people in the design process are the clients and end users of the building. Our services are focused around the needs and aspirations of the client. Where we can we like to push the boundaries of these aspirations, but at all times we recognise the need to take the client with us in this process, and taylor the project to their budget. The best buildings come from strong working relationships with committed clients and creative consultants who understand the power that architecture has to transform. I also like its affordability. Viagra is sold at every pharmacy , even at the edge of the town. I feel satisfied. I am 51 now. I’m alive and well. I can still love, thanks to Viagra. It gets a deserved “B”! We have a highly qualified team with 3 fully qualified Architects and all staff are qualfied to at least RIBA part I.
Influences: Lubetkin, Bauhaus, Le Corbusier, Alvaro Sizar, Frank Lloyd Wright. Projects: Former Abbey Glen Laundry ( 46 dwellings), Lancaster Works (69 flats) , Kelham Mills (96 flats), Lion Works (238 flats), Parkwood Business Park (60,000ft2) , 30 Chesterfield Retail Unit (20,000ft2) , Low carbon Housing, Sterling Works new cafe and seminar room (RIBA Civic Trust design award) Beauchief Hall Grade II* Individual houses and various projects within the Peak Park. 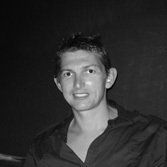 Simon has over 25 years of experience in practice. Projects: Columbia Place, Stirling Works, Upperthorpe Healthy Living Centre. 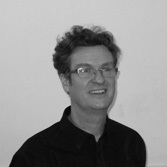 Barry has over 40 years of experience in Architectural practice field. Influences: Frank Lloyd Wright. Projects:Showroom Cinema, Upperthorpe Healthy Living Centre, Sheffield Independent Film, Chinese View Arts Centre, Derby Tertiary College, numerous projects within the Peak Park, Broomhead Hall stables Conversion. Lukasz has been working on our student housing projects. 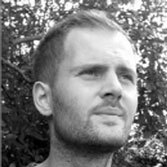 Alistair has extensive experience of working in the building industry. He has recently had a key role in producing working drawings for a 380 bedroom and 280 bedroom student accommodation blocks.